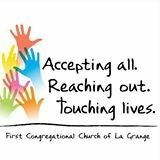 Welcome to First Congregational Church of La Grange, where we joyfully marry couples of all ages, from all cultures, races and sexual orientations. 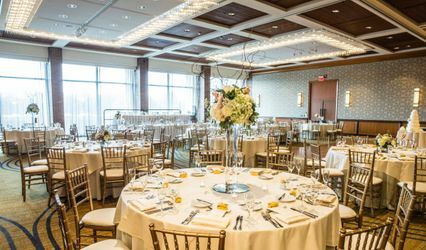 The use of our lovely handicap-accessible facility is available to both members and non-members and we would be honored to have you celebrate your wedding in our church. 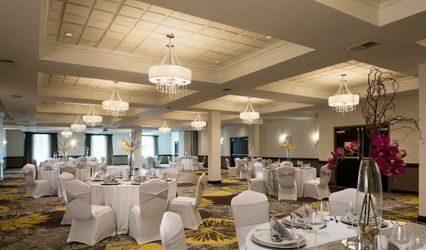 We have two beautiful spaces from which to choose for your wedding ceremony. 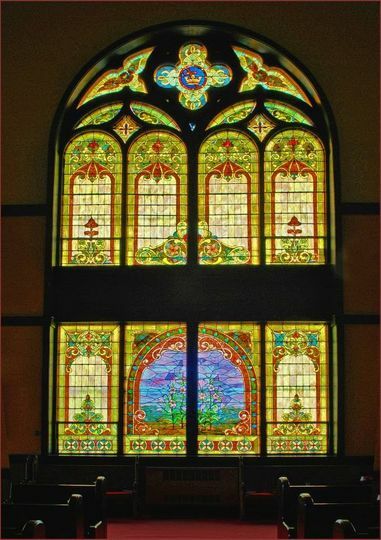 Our sanctuary, built in 1906 features a traditionally elegant atmosphere complete with spectacular stained glass windows, a vaulted ceiling and rich dark woods throughout. It seats up to 400 guests, although a gathering of 75 or more does not feel lost in the setting. We also offer the Chapel of the Beatitudes for wedding ceremonies. This air-conditioned chapel provides a more intimate setting for up to 75 guests. We have a pastor available to perform your ceremony but also welcome other Christian ministers or pastors of your choice to officiate. 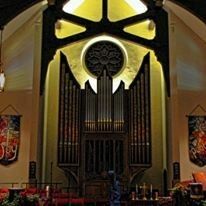 Arrangements can be made through our Choir Director to provide music for your ceremony. If you wish to host your wedding reception at First Congregational Church, we offer two options: the Founders' Room or the Drawing Room. The Founders' Room accommodates larger groups, while the Drawing Room is suitable for a smaller reception. Both have kitchen facilities readily accessible for use by the caterer of your choice. For more information on details or to tour the church, please contact the main office at mainoffice@fcclg.org.